You have no idea how good it feels to live here. It was the easiest move of my life; the day I left I hadn’t even packed yet. I just threw my clothes and shoes and toiletries in various bags and loaded the HRC-mobile up within a couple hours. And then, over three days, accompanied by an iPod full of tunes, I made my way from Texas to California. In Hollywood, a little guesthouse awaited me, my extended hotel / creative space for the summer. I wouldn’t say I have delusions of grandeur about ‘making it in Hollywood’. That is not my motivation. I’m just tired of traveling here on an almost monthly basis. Now I’m closer to the music, surrounded by creative people…I just want to do more of what I’m already doing. 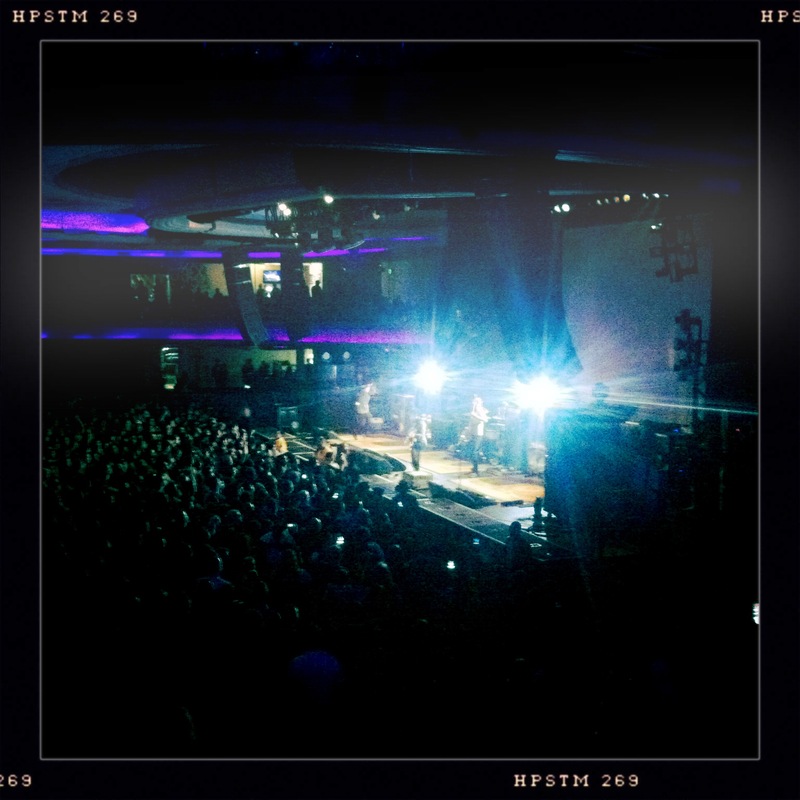 We pulled up to valet at the Hollywood Palladium and were escorted to our VIP table just as Le Butcherettes were ending their set. Darn. I don’t normally partake in the VIP thing- I’d rather be down in the pit- but a) my friend had arranged it for her b-day, b) I had just spent many, many hours in a car, c) I was kinda interested to check out the scene up there (it was actually pretty boring), and d) I’m getting old. So we had a table and a cocktail waitress and a place to sit and all that jazz, but mostly it was cool to have an unobstructed view from far above. I knew it’d be my last time for awhile to see The Dillinger Escape Plan; I’d probably never get sick of seeing them. Best part of this set was really seeing the crowd go “WTF? 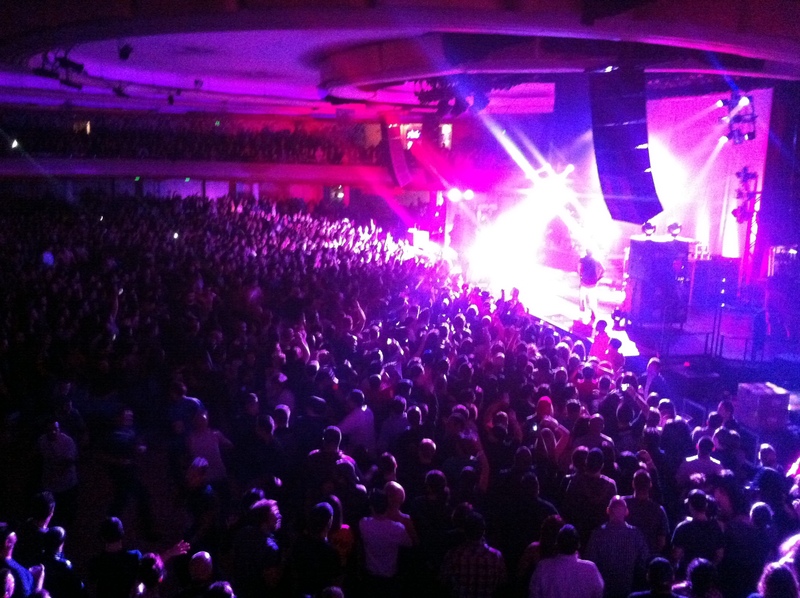 !” to “WOW!” this time over the course of the set, watching the mosh pit grow through the process. I watched on, moving to every beat as they jumped into the crowd and threw their amps and drums around. I grew up reading about bands that were deemed as ‘dangerous’ but by the time I was able to go to shows danger was a false promise crafted by MTV and PR agents. It took a while, but I found my dangerous bands, and DEP is at the forefront. 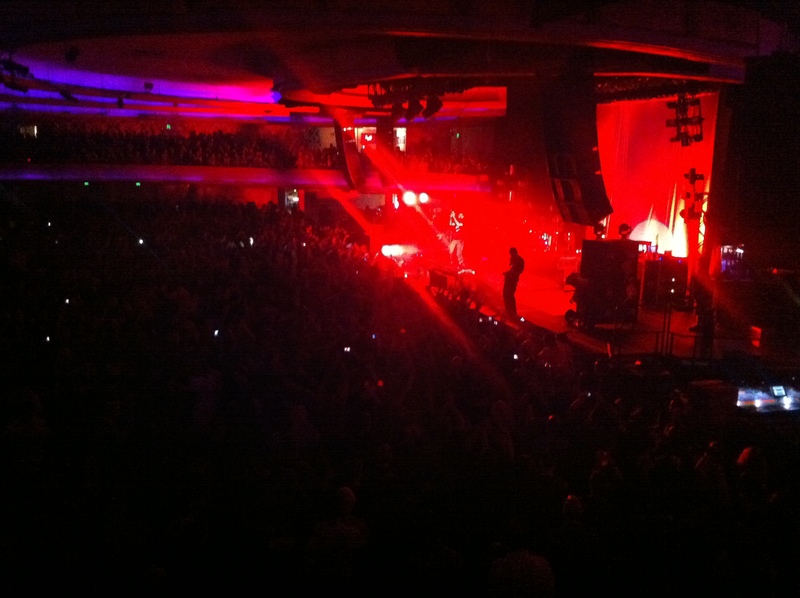 The sold out show went ballistic when Deftones hit the stage. We all moved and grooved along; it was a set where I was one with the music….having not only a moment but moments with several songs where it’s not that I can’t, but I won’t tell you what was going through my head, because some things are, believe it or not, just too personal for this space. I feel like a huge weight has been lifted from my shoulders, I’ve gotten clarity I’ve been searching for. I feel like more…. Deftones’ last album may be the soundtrack to the darkest moment in my life, but I’ve always been the kind of person that turns evil into good in some form or another. I’m having a superhero moment…let me have this narcissistic second where I made a silly little dream of mine come true; I mean, I do drive a car some refer to as The Batmobile. The crowd seamlessly moves from aggressive to desirous just as the music does. That’s the beauty of Deftones to me; they capture the space between those two emotions, that tiny space that encapsulates fleeting moments between less than permanent individuals. I’m not sure where my head was, but it wasn’t in the details of this show. For that, you can see my many other posts on the band here. The DEPtones tour will always remind me of the week I moved to LA; where I gave myself a fresh start in the city of Lost Angels.